William Harvey, one of the great figures of medicine, was an English physician who changed medical thinking by his discovery of the circulation of the blood. 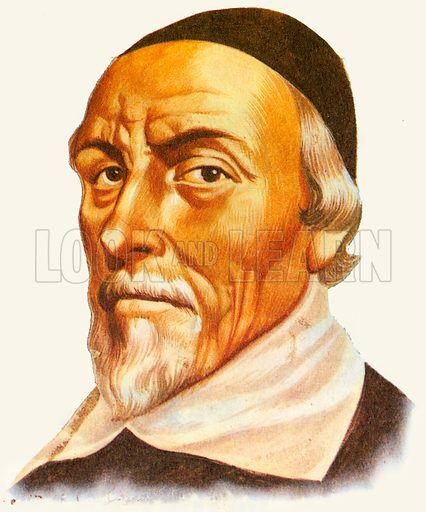 The Spanish physician Michael Servetus had discovered circulation earlier, but his manuscript was destroyed and the secrets of circulation were forgotten until Harvey rediscovered them nearly a century later. Available worldwide for immediate download up to 3,649 x 4,385 pixels.